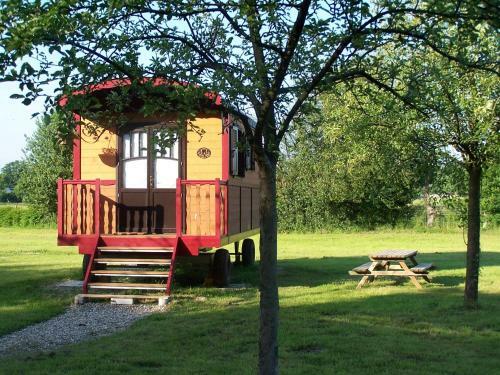 Lock in a great price for Les Roulottes de la Risle – rated 9.9 by recent guests! 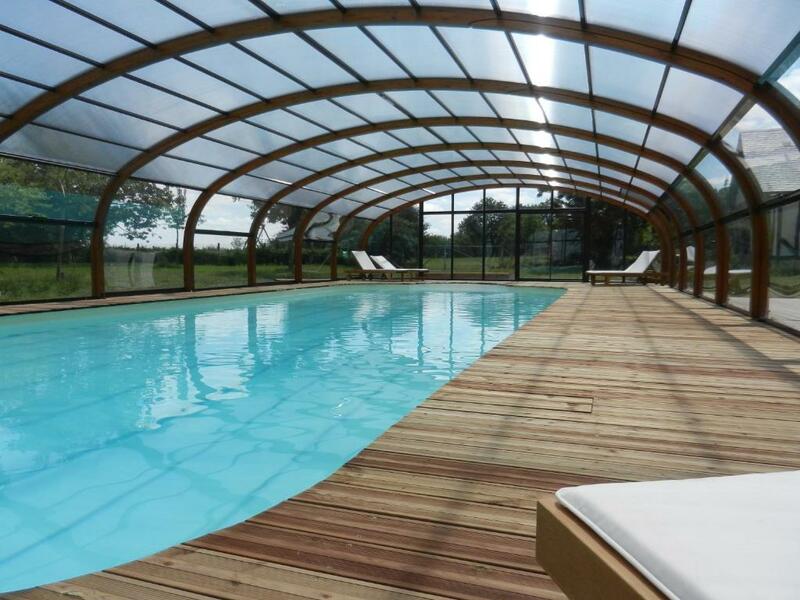 Offering a seasonal outdoor pool and hot tub, Les Roulottes de la Risle is located in Calleville in the Upper Normandy Region. The property is 32 mi from Honfleur, 29 mi from Rouen and 25 mi from Lisieux. Free private parking is available on site. 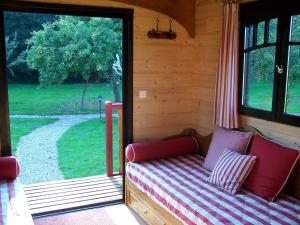 Featuring a balcony, the accommodations is equipped with a dining area and seating area with a flat-screen TV. 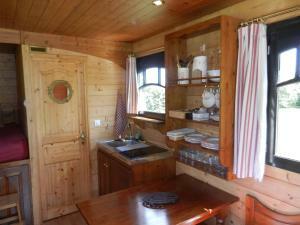 There is also a kitchenette, fitted with a microwave, kitchenware and a toaster. A refrigerator and coffee machine are also offered. 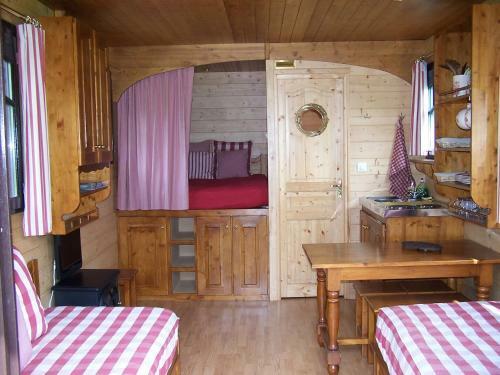 There is a private bathroom with a shower and free toiletries in each unit. Towels and bed linen are available. 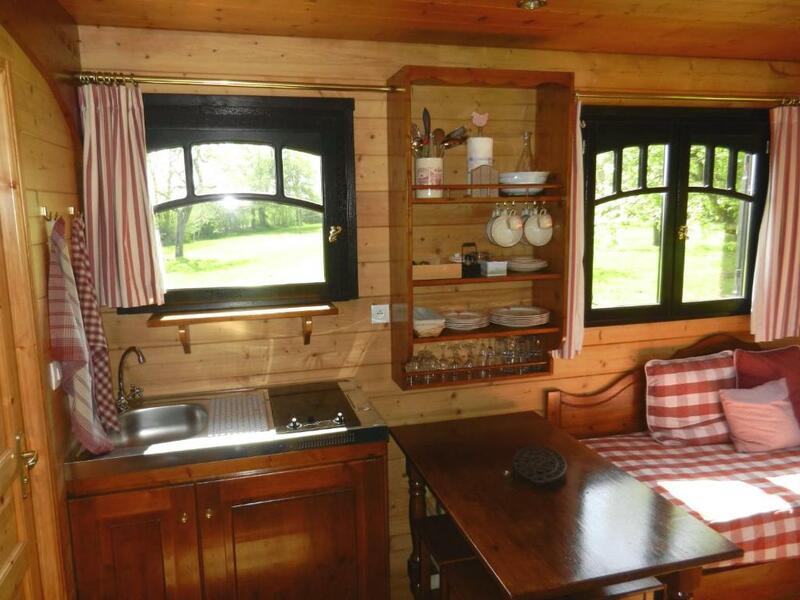 Les Roulottes de la Risle also includes barbecue facilities. 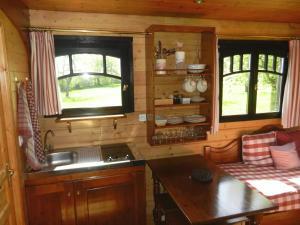 The property also offers packed lunches and guests can play table tennis on site. Bike hire is available at the property and the area is popular for cycling. This property also has one of the top-rated locations in Calleville! Guests are happier about it compared to other properties in the area. This property is also rated for the best value in Calleville! Guests are getting more for their money when compared to other properties in this city. 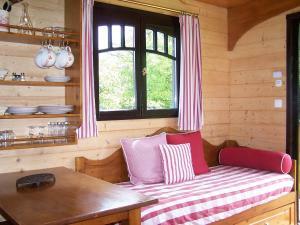 When would you like to stay at Les Roulottes de la Risle? This mobile home has a balcony, private entrance and soundproofing. Dépaysement, Repos et Cocooning sont les 3 maître-mots clairement affichés par les Roulottes de la Risle : verger, hébergement atypique tout confort et Pool center semblent apparemment répondre à cette ambition et vous satisfaire pleinement. Cela nous suffit. Après 20 ans passés à diriger des usines, il est un temps où il convient enfin de vivre et de changer d'horizon pour l'épanouissement total de notre famille. House Rules Les Roulottes de la Risle takes special requests – add in the next step! Les Roulottes de la Risle accepts these cards and reserves the right to temporarily hold an amount prior to arrival. Please note that the swimming pool is available from April to October. A damage deposit of EUR 500 is required upon arrival – that's about 565.12USD. This deposit is fully refundable at check-out as long as there's been no damage to the property. Please inform Les Roulottes de la Risle of your expected arrival time in advance. You can use the Special Requests box when booking, or contact the property directly using the contact details in your confirmation.